The glass fibre enforced stock comes with ambidextrous snap lock adapters which alows for carry with the optionally available Biathlon sling. The stock also features a height adjustable cheek piece, length adjustable buttplate and a steep pistol grip for comfortable shooting. The UIT rail in the forens allows for attachment of various accessories such as bipods, shooting slings etc. The ambidextrous stock is equally suitable for both left and right handed shooters. 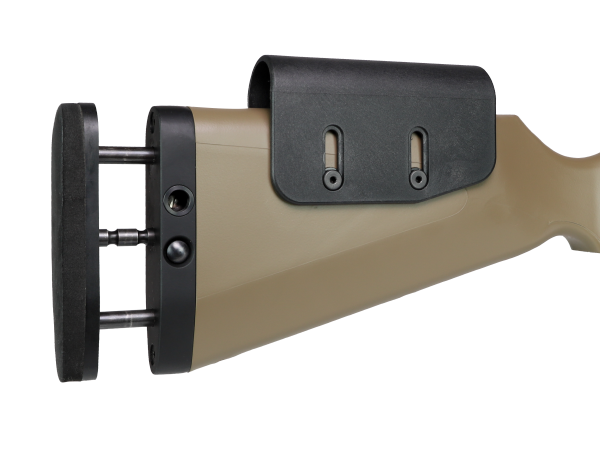 The optionally available Weaver rails on both sides of the forend allow for the installation for additional accessories such as lights. The trigger is adjustable. The bolt handle feature a big ball to allow for a maximum of comfort when handling, even under rough conditions. The rifle feeds from an 5-round polymer magazine, a single shot Version is also available. 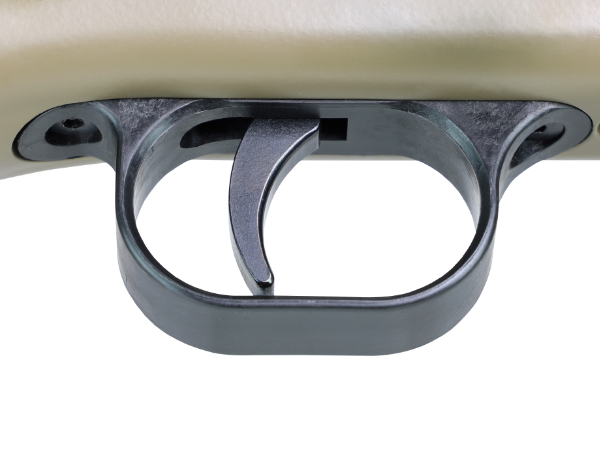 The magazine catch is positioned in front of the magazine also providing maximum comfort when handling the rifle. 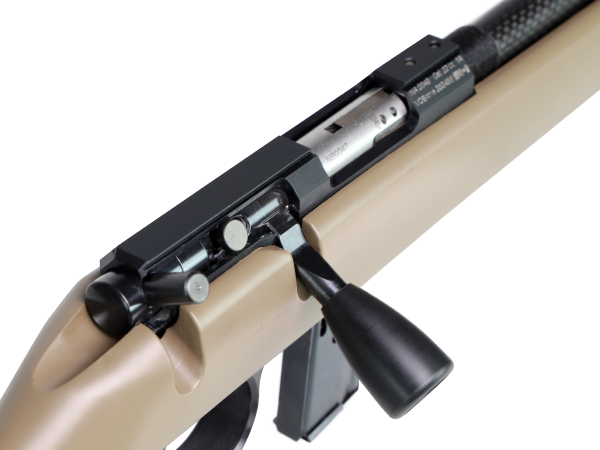 The standardized 11mm prism rail allows the installation of either a scope mount or open sight. All parts are CNC machined, no cast parts are used. We can proudly state that we can offer a high quality .22 bolt action rifle at an unseen price/performance ratio. The exclusive surface is robust and corrosion resistant.